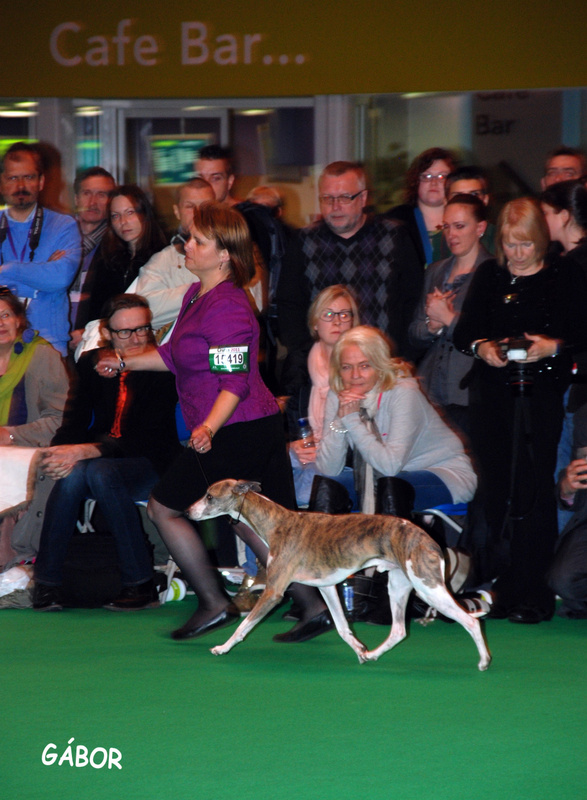 Crufts 2011 was a very memorable one for us as "Timber" UK,IR & INT Ch. 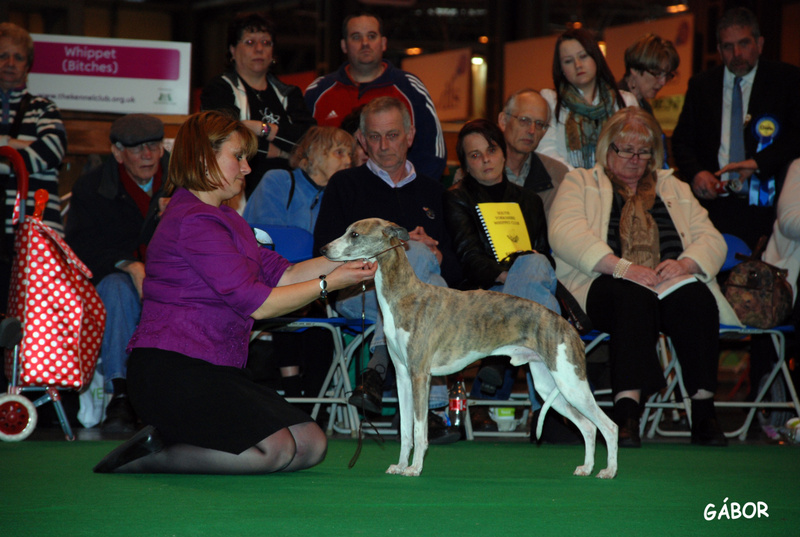 Mossbawnhill Exclusive (Celtic Jun Winner 08) not only won the Open Dog class from a respectable entry of 24 but also went on to take the Dog CC & then BOS under Dagmar Kenis-Pordham (Solstrand). 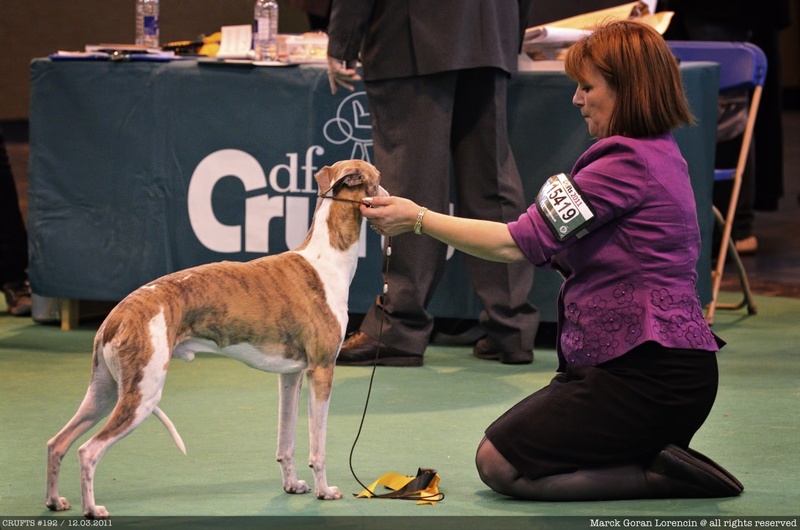 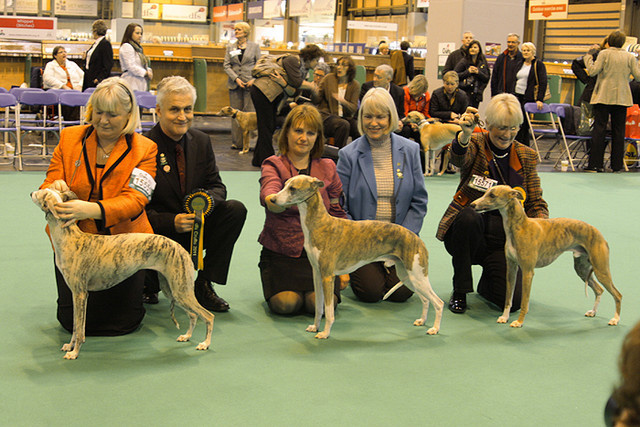 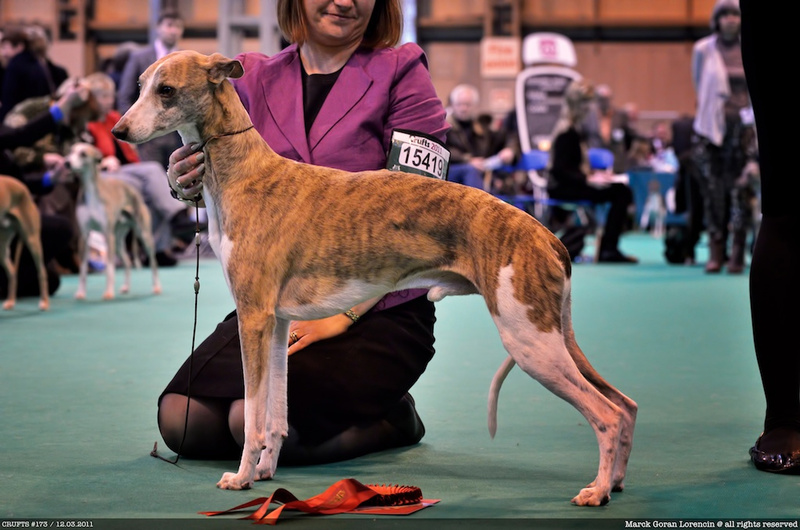 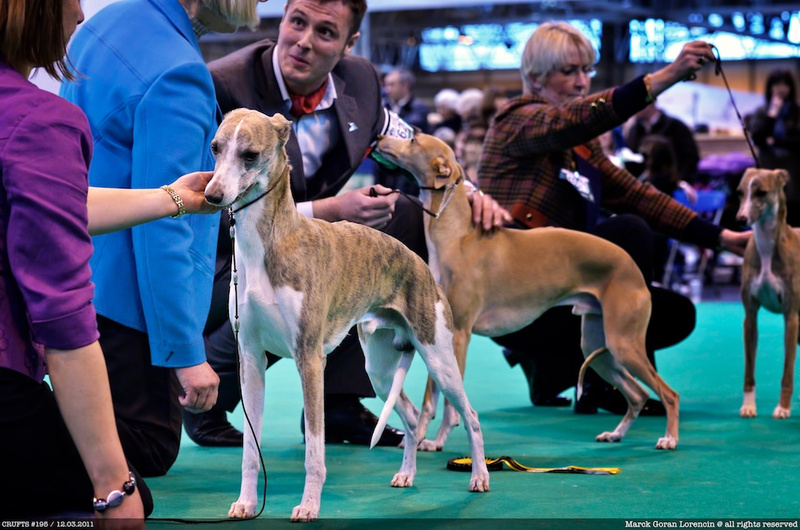 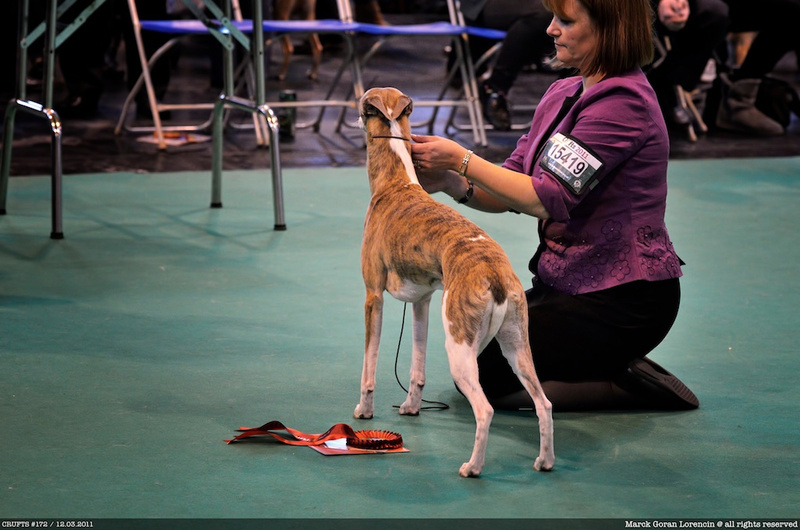 The overall entry of whippets this year was a huge 515 of which 257 were dogs.